Disable Script Error Notifications in Internet Explorer (Internet Explorer 4/5/6) - TACKtech Corp. Turn off the "Would you like to debug this page?" messages in Internet Explorer. Select Tools > Internet Options... from the menu bar. 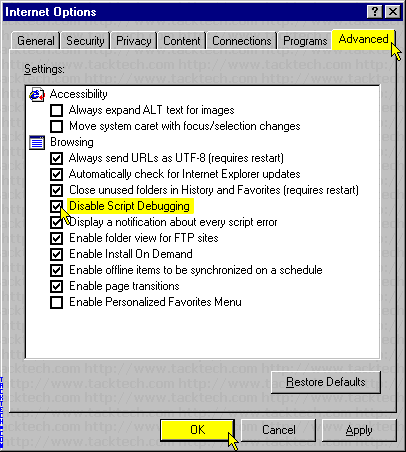 Check the Disable Script Debugging check box.